All life forms known to mankind belong to a so-called "kingdom," but it isn't always easy to know why a life form belongs to a given kingdom and not another. Kingdoms Protista and Monera both contain single-celled life forms, but they are distinct from each other. A major difference between monerans and protists lies in the nucleus, which is the "command center" of a cell. Monerans do not have a true nucleus, while protists have nuclei bound in their own nuclear membranes. Scientists classify organisms with true nuclei as eukaryotes and organisms without them as prokaryotes. Beyond the inclusion of a true nucleus, protists are more organizationally complex than monerans. Protists exhibit features called organelles that have various jobs in the cell and may exhibit visible methods of movement. Monerans do not have these types of features. Sizes of different species within each kingdom vary, but protists are generally larger than monerans. 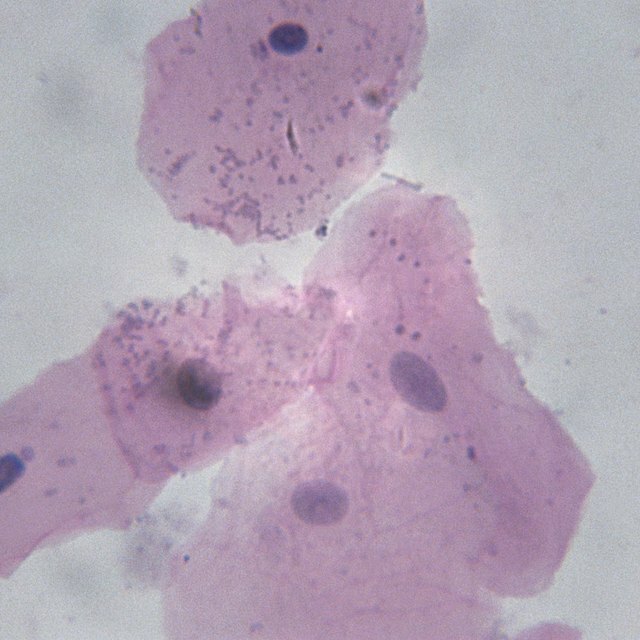 Protists are sometimes visible even with only a magnifying glass. Monerans are usually much smaller than that. However, blue-green bacteria, which belong to monera, are larger. Kyle Glazier has been writing since 2007. He frequently writes about health and legal issues and has written for publications in Arizona and Colorado, including the "East Valley Tribune" and "American Cowboy Magazine." He holds a Bachelor of Arts in English from Arizona State University and is pursuing a Master of Arts in journalism from the University of Colorado. Glazier, Kyle. "Differences Between Protista & Monera." Sciencing, https://sciencing.com/differences-between-protista-monera-6937303.html. 13 March 2018.